2 BEDROOMS | 1 BATH | APPROX. 1,239 SQ. FT. Welcome to the Courtyard Lofts, originally designed by award winning architectural firm Interstices! This intimate 16-unit community is home to some of the most unique lofts in Downtown Long Beach, and unit #H (aka 835 Pine) is no exception! 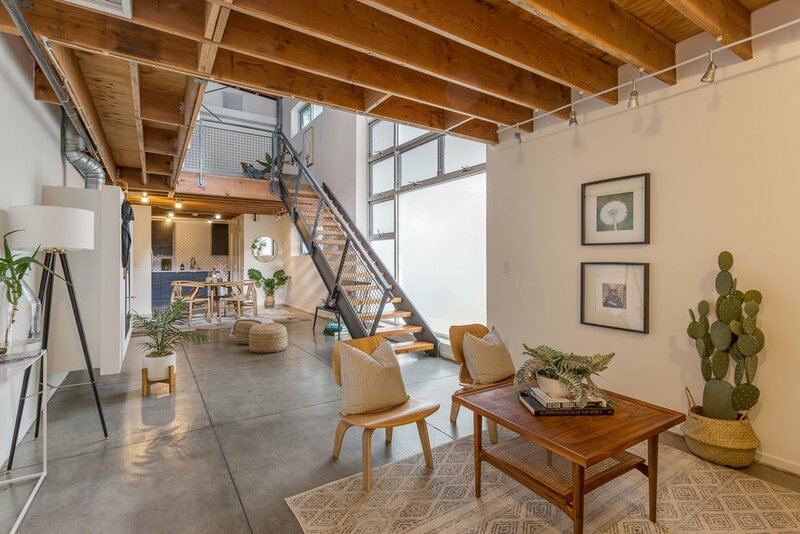 The open floor plan features a large living space, two-story ceilings with exposed wood beams, dining area and kitchen, with a second floor that is ideal for a separate sleeping area and office space. Natural light pours in through the wall of windows and the unit has new paint throughout. 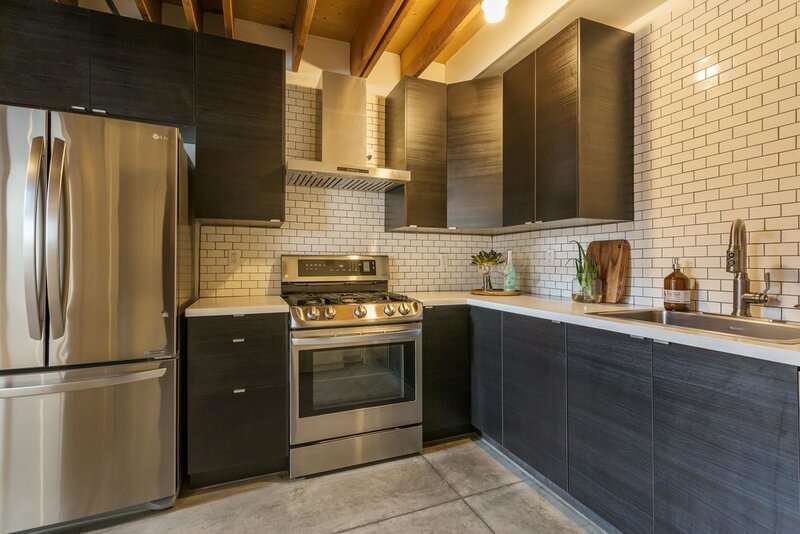 In the recently remodeled kitchen you will find quartz countertops, beautiful subway tile backsplash, LG appliances, gas range, dishwasher, garbage disposal and built-in microwave. This unit also includes one assigned parking space in the private garage. The Courtyard Lofts are nestled on the upper end of the Pine Avenue dining and shopping district, with metro stations nearby, and soon to be open Rose Park Roasters coffee shop! Don't miss out!